We are proud to support the future of the food & drink industry as the first organisation to offer the qualifications in the food and drink process operator apprenticeship standards. 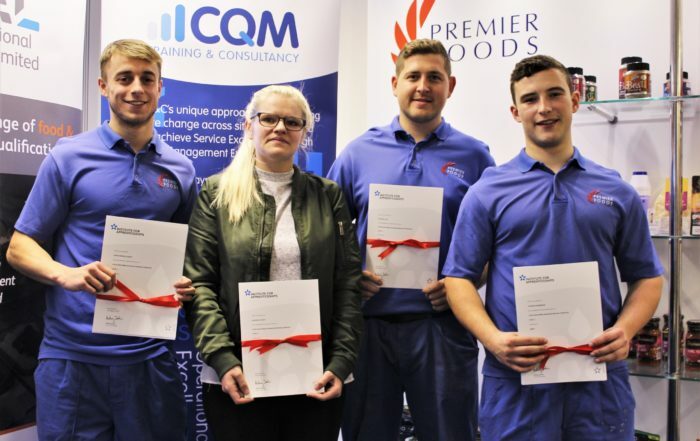 A specialist in the furniture and wood industries, we are the only awarding organisation approved to offer furniture apprenticeship qualifications and apprentice end-point assessment. Our one-stop-shop end-point assessment service is now live for two of the leadership and management standards. We have an ever-growing range of qualifications suitable for a number of sectors. These include those relating to the key areas of retail, shopfitting and trade business services. In some cases it is possible for our team to work with businesses from individual sectors to develop additional qualification units to further to support specific sector needs. We have developed slick and effective end-point assessment services designed around the needs of the business and the apprentice. All those using our service will have access to a range of high quality documentation to support employer, training provider and apprentice. If you want to use our end-point assessment services apply online or call 01904 236 483.